PH0000135.010 44 44A City Centre City Centre 02-Dec-2018 Route & terminal point variation until redevelopment work completed. Timetable 044MF18B2 runs while redevelopment work current and 044MF18B1 runs thereafter. Saturday timetable is not affected by redevelopment. PH0000135.154 104 105 Devonport High School Tavistock 07-Jan-2019 Administrative correction! I have not linked to the main route pages above as most of these have not been entered there yet! - You can always click here and enter the licence number in the search box to see the full route history and timetables as they get processed. What is the point of changing route numbers and destinations all the time?! It just confuses the punters! 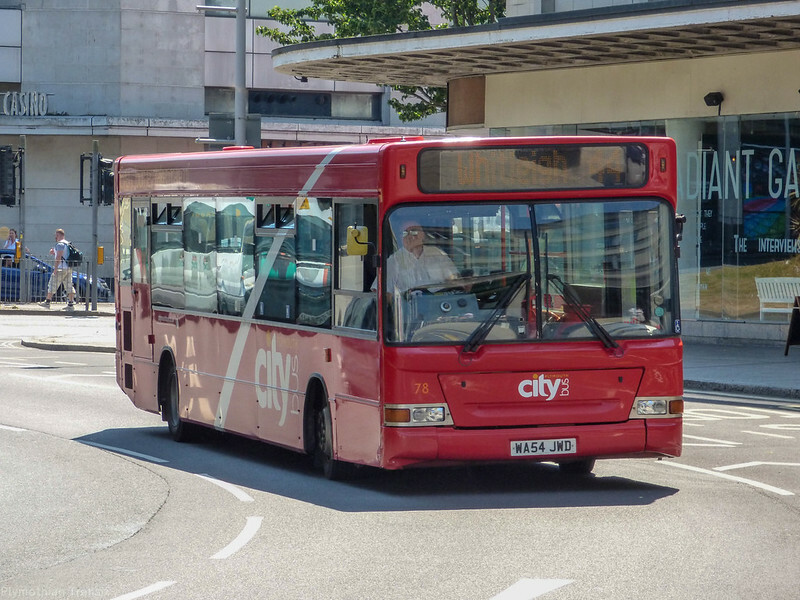 There's only one actual route number & destination change this time round (44/44A/44B) - and that has been introduced in response to passenger feedback and following discussions with Plymouth City Council, who subsidise the 44A/44B. The changes restore links to St Budeaux that were lost when the 50A/51A were withdrawn in September - isn't improving services supposed to be a good thing?